NEW YORK -- You have some very funny ideas about car insurance, but none of them are all that helpful -- or even correct. According to an August survey of 1,000 adults conducted for insuranceQuotes.com by Princeton Survey Research Associates International, many of you have little idea what you're signing up for when you take out a auto insurance policy. Don't believe us? Well, let us as you a question: Does owning a red car increase your auto insurance rates? No, no it doesn't. However, that didn't stop 44 percent of you from believing that it does -- as if highway patrols are keeping a eye peeled for any red Dodge Neon from the 1990s that goes puttering by. Despite a seven-film "Fast and the Furious" series that made fast cars look like trouble in any color, a whole lot of drivers -- especially those ages 18 to 29 (53 percent) -- were willing to buy into myths as dated as the Ferraris Tom Selleck and Christie Brinkley drove on screen in the '80s. Why? %VIRTUAL-pullquote-Most people don't spend a lot of time and energy learning about insurance.%"Most people don't spend a lot of time and energy learning about insurance," Rob Hoyt, professor of risk management and insurance at University of Georgia's Terry College of Business, told InsuranceQuotes. No, you really don't. About 37 percent of you -- and, again, 52 percent of those ages 18 to 29 -- don't think auto insurance covers you if you cause a crash. However, that's only true if you're only covered by base liability insurance. Collision insurance, usually optional, covers your car even if you're at fault. Meanwhile, if we told you your car was totaled, roughly 40 percent of you would have to look up what that means. Half of drivers know that having your car totaled in an accident means that your insurer pays you the value of your car before the crash. A full 28 percent of drivers think insurance pay the post-crash value of a totaled car, while 12 percent aren't sure what happens when a car is totaled. "These results indicate that millions of Americans need a refresher on what insurance does and does not cover," says Laura Adams, insuranceQuotes.com's senior analyst. "A lot of people will be pleasantly surprised to learn their car insurance covers all types of accidents and their homeowners or renters insurance policy covers theft." However, while we're on the topic of theft, there are a whole bunch of items your auto insurance doesn't cover that you totally think it does. For instance, only 14 percent of people believe that car insurance pays for auto repairs -- which it doesn't -- but a full 23 percent of millennials and people making $30,000 or less are under the impression that repairs are part of the deal. Also, if your car gets broken into and you file a police report detailing what was stolen, don't bother sending it to your car insurance company. They aren't going to pay for it, regardless of the 34 percent of you who believe otherwise. That includes a whopping 47 percent of people age 65 or over. However, you're in luck if you have renters or homeowners insurance, as long as whatever is stolen exceeds the deductible. For example, if you had a covered $2,000 laptop stolen and your homeowners insurance has a deductible of $500, you'd get a check for $1,500, according to the Insurance Information Institute. That said, don't try the old trick where you somehow have $1,400 worth of CDs on your police report even though that amount of CDs would have a tough time fitting in your trunk -- if anyone still bought CDs in great numbers anymore. Finally, don't be among the 17 percent of consumers who are unaware that where they live affects how much they pay for car insurance. And 14 percent are under the false impression that car insurance pays for mechanical problems. 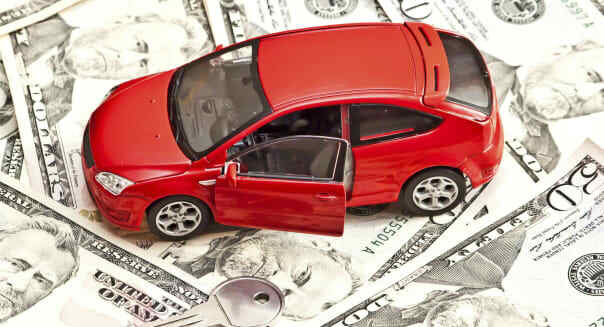 If you live in New Jersey, you already realize that the average of nearly $1,220 you pay for auto insurance, according to the National Association of Insurance Commissioners, is more than double the $599-a-year that folks in Wisconsin pay for theirs. In fact, folks in Jersey City who pay $3,267 a year on average for car insurance are handing over nearly three times what someone in Raleigh, North Carolina ($1,100) would pay on the same policy, according to NerdWallet.